To study the influence of retinal adaptation on oscillatory potential (OP) using repeated-flash electroretinography. Subjects were 28 adult eyes with normal retinas. Four stimuli (four flashes) of white light from a light-emitting diode built into a contact lens that also served as the recording electrode were presented at 5-s intervals after 30 min of dark adaptation (DA) and then after 10 min of light adaptation (LA). Recordings were made without background light. Four OPs (O1, O2, O3, and O4) were recordable. After DA, amplitudes of O1 and O4 decreased with subsequent flashes, whereas those of O2 increased after the second flash. After LA, amplitudes of O3 and O4 were smaller than after DA. Amplitude and implicit time of OPs were influenced by retinal adaptation. 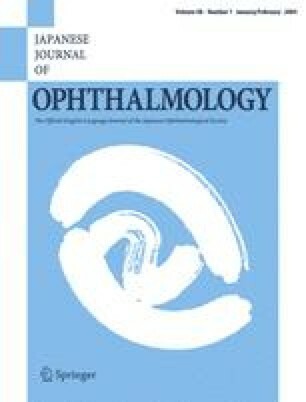 Among all OPs, O2 showed unique characteristics in course of retinal adaptation.